Why Choose Swan Mountain Outfitters? Home About Us Why Swan Mountain? 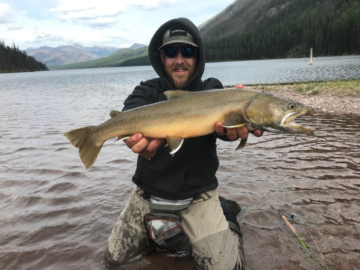 Swan Mountain Outfitters is northwest Montana’s top choice for summer wilderness pack or fishing trips as well as guided hunting trips in the Bob Marshall Wilderness in western Montana. During the summer we offer: pack trips into the Bob Marshall, fly fishing on the Swan River, daily and overnight guided float trips, guided fishing trips in the Swan Valley and Bob Marshall Wilderness, trail rides in the Swan Valley, trail rides in Glacier National Park, wagon rides in the Swan Valley. During hunting seasons we offer: mule deer hunts, whitetail hunts, archery elk hunts, archery whitetail hunts, wilderness elk hunts, wilderness multi weapon hunts, wilderness combination big game hunts, spring black bear, horseback hunts, lodge hunts, mountain lion hunts, moose hunts and goat hunts. Our hunting territories are located near Glacier National Park and lying adjacent to multiple national and state wilderness areas, this part of America’s West provides a rich wilderness adventure experience. Swan Mountain Outfitters is not operated like a typical outfitter. We are best described as a “new generation” outfitter, focused on offering customers an enriched vacation experience by focusing on quality. We use the best horses, have state-of-the-art equipment, and we employ educated customer-oriented personnel. We want you to come back time and again, and know that will only happen if we delight you, and that’s exactly what we aim to do! Looking for a unique Montana vacation in the heart of bear, elk, deer and lion country in the mountains and forested valleys of northwest Montana? For Hunters…a more challenging environment for Montana big game hunting. 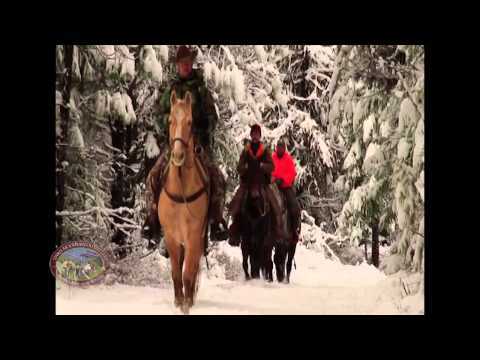 Free chase horseback hunting in the mountainous Bob Marshall Wilderness. For Vacationing Families…a multisport Montana adventure vacation opportunity with fly fishing and horseback riding. As the largest horseback based outfitter in Montana we offer trail rides in Swan Valley and Glacier National Park. We also offer wagon and buggy rides in the Swan Valley including dinner buggy rides. 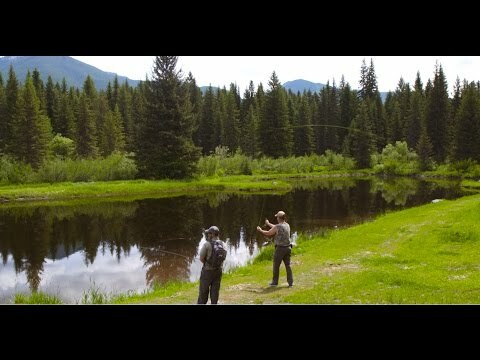 For Fly Fishermen or Fly Fisherwomen…and first time anglers to experts, we offer half-day float trips to multi-day pack trips, spin casting to fly fishing, and fly fishing lessons and clinics.